It has been said that art is subjective to the viewer. I certainly agree with that statement. I can look at a work of art and be astounded by the way it speaks to me. Someone else may just glance at the same piece of work and not be affected at all. I have decided to not worry about what others think of my work or the subject matter I choose to paint, but paint only to please myself. I was once with a publishing company in New York. As with most illustrative work, I was told what to paint. I didn’t enjoy that part of my career. I finally gave it up. I love painting landscapes, still life, and portraits. I usually have several paintings going at one time so I can go from one painting that’s too wet to continue, then pick up another painting that’s dry and continue painting on it. The second painting may be an entirely different subject matter so I’m always doing something different. Working this way helps keep me in a fresh state of mind. I have my own studio apart from the house and am found there almost every day. I get such a sense of peace when surrounded by my art materials, my books and the smell of oil paint. If I’m not in a mood to paint, I get in the mood when I open the door. The outside world disappears. The light comes through the windows and doors and creates a warm glow on the knotty pine floor and I’m in my world. I have a CD player that keeps me company with Audio books checked out from the local libraries. My two faithful companions, Buddy-the Pomeranian mix, and Daisy-the Besinju, are always outside the door keeping watch. My method of painting is done in layers. I start with a rough mono-chromatic under painting, keeping the paint thin and loose by adding turpentine to the paint. Being thin, it dries fast. I can then start adding thin layers of color. (I’m not a fast painter.) I am constantly correcting the painting as it progresses so I keep the paint thin until I get close to finishing it. I can then add thicker paint as needed. I sometimes feel like I’m doing the opposite of sculpting. There’s the front, the sides and back of each object or person represented, but instead of chipping away or building with clay, I’m building the objects with paint. 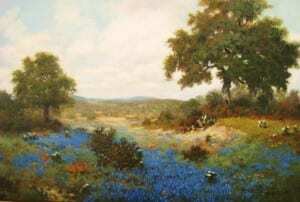 In addition to painting as often as I can, I teach an all day Oil Painting Class once a month. Teaching is a great learning tool for me. I have to keep my skills honed in order to convey technique and theory to my students. Life sometimes interrupts my painting time, but I don’t resent it. I love my family and friends and being constantly secluded in my studio would not be healthy for me and my spirit would suffer. Life first, art second. Born in Spindale, North Carolina, Patsy grew up in Houston, Texas. 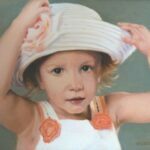 Winner of many awards, she is a Signature Member of Oil Painters of America. 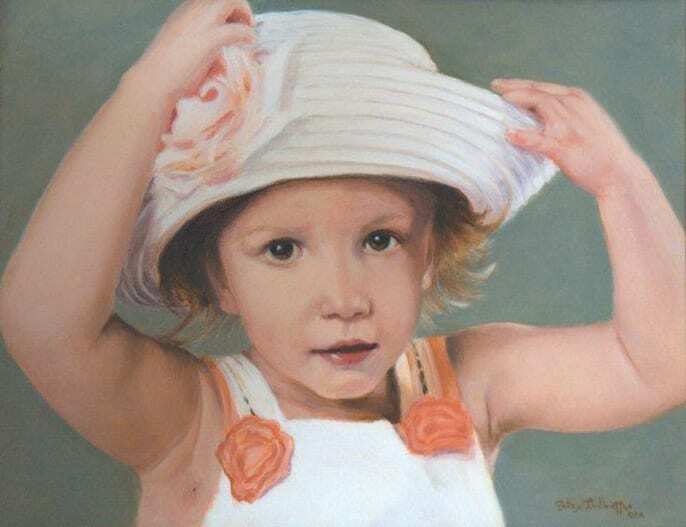 She received an Award of Merit in the OPA Regional Show in 1994. She has also held memberships in other organizations such as Women Artist of the West, Colorado Heritage Fine Arts Guild, Texas Fine Arts Association of Austin, Texas, and others.